A parent/carer may nurse a child in any public location where they are comfortable and authorized to be. Nursing parents/carers seeking more discreet accommodations are welcome to use the Parents’ Room located on Level 1 Brownlow Stand. Breast pumps are permitted inside GMHBA Stadium. Wheelchair and carer seating is available for all events at GMHBA Stadium, subject to availability. For AFL games we recommend you pre-book your ticket via Ticketmaster by calling the accessible seating line on 1300 446 925. 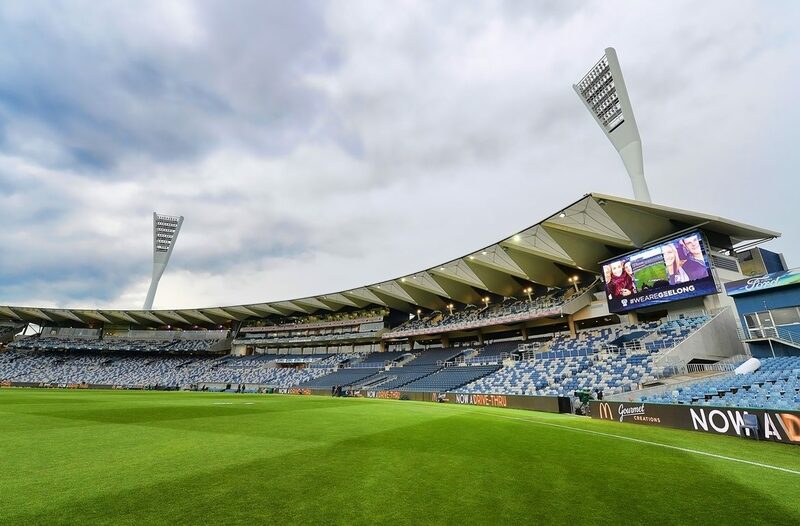 The Kardinia Park Stadium Trust and Geelong Cats have partnered with US not for profit organisation KultureCity to improve our ability to assist and accommodate guests with challenges in processing sensory information. Our objective is to provide an inclusive experience for every guest. We strive to raise awareness of the needs and challenges faced by individuals with sensory processing challenges by supplying our staff, customer service and security members with training and by offering the resources and accommodations below to our guests. We thank our collaborating partners: Leisure Networks, Deakin University, BCYF, Barwon Paediatric Services, Kane Constructions, La Trobe Community Health Service, NDIS, G21, Gateways Support Services, Armstrong Creek School, Diversitat, Early Childhood Early Intervention Working Group, City of Greater Geelong and the Percy Baxter Charitable Trust managed by Perpetual. Our designated Sensory Room in the Deakin Cats Community Centre (ground floor, Players Stand) will launch for the AFL round 6 match. This includes a small multi-sensory room, within a larger quiet space. Guests utilising the Sensory Room are required to have an adult carer accompanying them at all times. Please contact us if you require assistance locating this room. Guests can read the social story resource prior to attending by downloading the Word document and printing it out. Feel free to edit/cut/ paste your own photos and pages to create a script that best suits you and your day out.